William Cuthbert Faulkner was a Nobel Prize laureate, awarded the literature prize in 1949. He wrote novels, short stories, poetry, and screenplays. He is known mainly for his novels and short stories set in the fictional Yoknapatawpha Country, Mississippi. Faulkner is one of the most celebrated American writers, regarded, generally as the great writer of the American South. Some of his novels are considered to be among the best in the English language of the 20th century. Light in August, Absolom, Absolom, As I Lay Dying, and particularly The Sound and the Fury, appear regularly on lists of the top 100. He was also a prolific writer of short stories. His first short story collection, These 13 (1931), includes many of his most acclaimed stories, including A Rose for Emily, Red Leaves, That Evening Sun and Dry September. 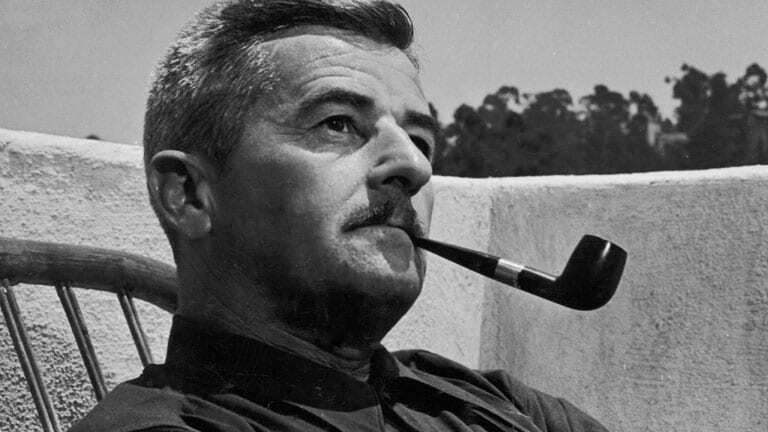 Faulkner was known for his experimental style meticulous attention to diction. In contrast to the severely paired-down understatement of his contemporary, Ernest Hemingway, Faulkner’s prose was expanded and detailed. He wrote emotional, subtle, cerebral, complex stories of a wide variety of characters including former slaves or descendants of slaves, poor white, agrarian, or working-class Southerners, and Southern aristocrats, all mixed together to portray a complex community in a hotbed of race, class and politics. By the time of his death Faulkner had clearly emerged as one of the greatest writers of the 20th century, unmatched for his extraordinary structural and stylistic resourcefulness, for the range and depth of his characterization and social notation, and for his persistence and success in exploring fundamental human issues in narrowly focused, localized terms. Some early critics found his work extravagantly violent but he was realistic in his portrayal of a location and era of exceptional violence. Outside the South and the United States, Faulkner’s work and career captured early attention in England and France. British novelist Richard Hughes was responsible for initiating his European reputation. While visiting the states in 1929, he read Faulkner’s Soldiers’ Pay and Mosquitoes, and the galley-proofs for The Sound and the Fury supplied by the publisher. Once home, he encouraged his own publisher to issue Soldier’s Pay for which he wrote the introduction calling Faulkner “the most interesting novelist in America.” Hughes then encouraged the elderly novelist Arnold Bennett to review Soldiers’ Pay and The Sound and the Fury. Bennett thought the little known Faulkner had a “great and original talent” and made the famous comment, “he writes generally like an angel.” The strength of Bennett’s reputation was such that soon other novelists began to pay attention in England. V. S. Pritchett came to the considered conclusion that he was “the only substantial American novelist since Henry James.” After that Faulkner’s reputation grew rapidly. Faulkner created an unavoidable power in his own time and remains a permanent force in literature.